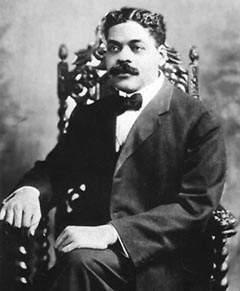 Arturo Alfonso Schomburg or Arthur Schomburg, as he was known on the mainland. Historian, writer, vehement public speaker and collector of books, writings, artefacts and anything related to the history and culture of African people, particularly in the Americas. His vast collection was eventually housed in the New York Public Library’s Arthur Schomburg Library in Manhattan (Harlem).